Did Hedge Funds Make The Right Move In Dumping Mondelez International Inc (MDLZ) ? Is Mondelez International Inc (NASDAQ:MDLZ) a good place to invest some of your money right now? We can gain invaluable insight to help us answer that question by studying the investment trends of top investors, who employ world-class Ivy League graduates, who are given immense resources and industry contacts to put their financial expertise to work. The top picks of these firms have historically outperformed the market when we account for known risk factors, making them very valuable investment ideas. Mondelez International Inc (NASDAQ:MDLZ) has experienced a decrease in activity from the world’s largest hedge funds recently. MDLZ was in 45 hedge funds’ portfolios at the end of December. 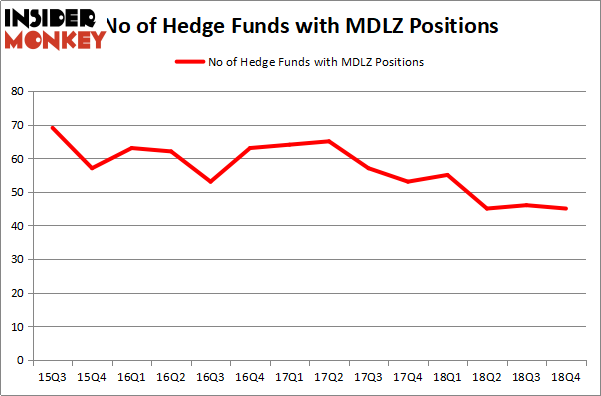 There were 46 hedge funds in our database with MDLZ positions at the end of the previous quarter. Our calculations also showed that MDLZ isn’t among the 30 most popular stocks among hedge funds. Let’s take a gander at the key hedge fund action surrounding Mondelez International Inc (NASDAQ:MDLZ). How have hedgies been trading Mondelez International Inc (NASDAQ:MDLZ)? At the end of the fourth quarter, a total of 45 of the hedge funds tracked by Insider Monkey were bullish on this stock, a change of -2% from the second quarter of 2018. By comparison, 55 hedge funds held shares or bullish call options in MDLZ a year ago. So, let’s check out which hedge funds were among the top holders of the stock and which hedge funds were making big moves. More specifically, Trian Partners was the largest shareholder of Mondelez International Inc (NASDAQ:MDLZ), with a stake worth $753.6 million reported as of the end of September. Trailing Trian Partners was D E Shaw, which amassed a stake valued at $327.1 million. GAMCO Investors, Citadel Investment Group, and AQR Capital Management were also very fond of the stock, giving the stock large weights in their portfolios. Since Mondelez International Inc (NASDAQ:MDLZ) has faced bearish sentiment from the smart money, logic holds that there exists a select few fund managers that slashed their positions entirely in the third quarter. At the top of the heap, Robert Rodriguez and Steven Romick’s First Pacific Advisors LLC sold off the largest position of all the hedgies watched by Insider Monkey, worth an estimated $232.9 million in stock. Daniel S. Och’s fund, OZ Management, also dumped its stock, about $156.3 million worth. These bearish behaviors are important to note, as aggregate hedge fund interest was cut by 1 funds in the third quarter. 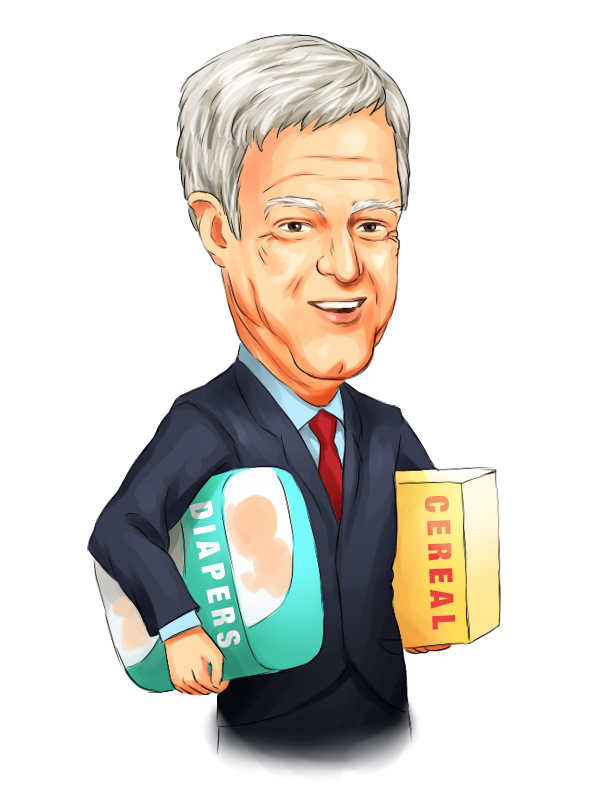 Let’s now review hedge fund activity in other stocks – not necessarily in the same industry as Mondelez International Inc (NASDAQ:MDLZ) but similarly valued. We will take a look at Automatic Data Processing, Inc. (NASDAQ:ADP), Eni SpA (NYSE:E), Tesla Inc. (NASDAQ:TSLA), and VMware, Inc. (NYSE:VMW). This group of stocks’ market valuations match MDLZ’s market valuation. As you can see these stocks had an average of 32 hedge funds with bullish positions and the average amount invested in these stocks was $1438 million. That figure was $1740 million in MDLZ’s case. Tesla Inc. (NASDAQ:TSLA) is the most popular stock in this table. On the other hand Eni SpA (NYSE:E) is the least popular one with only 7 bullish hedge fund positions. Mondelez International Inc (NASDAQ:MDLZ) is not the most popular stock in this group but hedge fund interest is still above average.Our calculations showed that top 15 most popular stocks among hedge funds returned 19.7% through March 15th and outperformed the S&P 500 ETF (SPY) by 6.6 percentage points. Hedge funds were also right about betting on MDLZ, though not to the same extent, as the stock returned 19.4% and outperformed the market as well. Do Hedge Funds Love Diageo plc (DEO)? Hedge Funds Have Never Been This Bullish On Thermo Fisher Scientific Inc. (... Were Hedge Funds Right About Buying Costco Wholesale Corporation (COST)? Were Hedge Funds Right About Buying United Technologies Corporation (UTX)? Were Hedge Funds Right About Dumping Twenty-First Century Fox Inc (FOX)? Itau Unibanco Holding SA (ITUB): Are Hedge Funds Right About This Stock?